Raise your hand if you need to eat more dark leafy greens . . . Right, that’s what I thought! 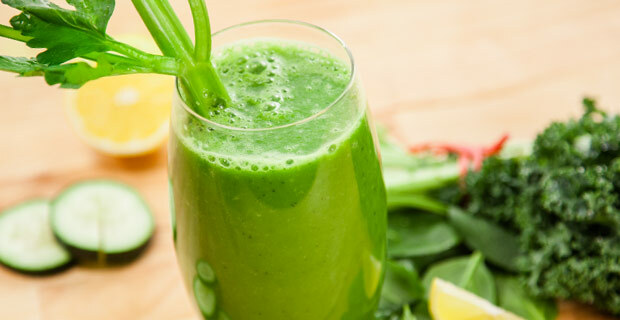 I’m a huge fan of smoothies because you can pack all sorts of green leafy vegetables in them. The trouble is, the way most people make smoothies, they are more fruit than vegetable. The Green Giant is different. It is all vegetable! Okay, there’s an avocado in there, and technically, that’s is a fruit. It’s green though, so let’s roll with it. This recipe makes about 32 ounces of smoothie (packed with 11 grams of protein and four servings of vegetables). You might think it’s loaded with calories thanks to that avocado, but it’s not. The whole thing is a lean 300 calories – perfect for breakfast! Or split it with a friend for a healthy green snack. At the end of September I had surgery to reconstruct the ACL in my right knee. It probably sounds crazy, but I think a large part of how fast I’ve healed has to do with flooding my body with nutrients from fresh, homemade juices. 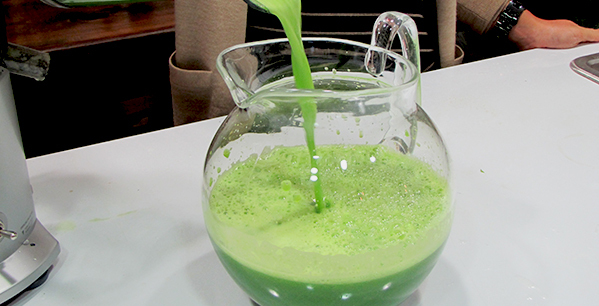 Before surgery, I consumed a green juice for breakfast every day to supercharge my body. The week after surgery, I drank a glass of green juice in the morning for breakfast, had a normal lunch, then had a red juice for dinner. Because of my reduced activity levels, I wasn’t hungry for much food, but my body needed the nutrients for adequate healing. 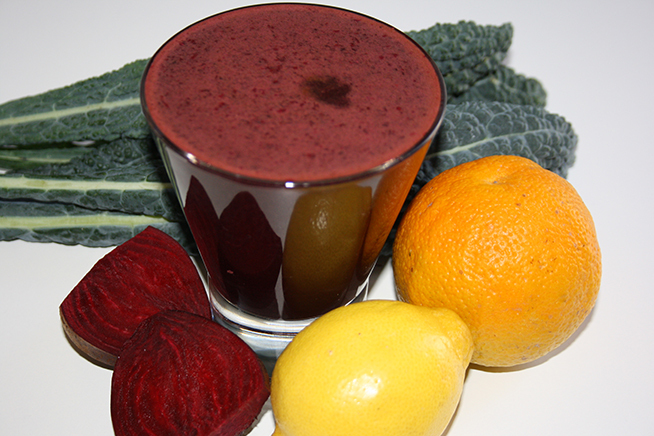 Juicing is awesome for a couple reasons. First, when you consume fresh vegetable juice, it gives your body an instant infusion of vitamins, minerals, and phytonutrients. Because all of the fiber is removed, your digestive system doesn’t have to work hard and your body can focus on rest and repair. If you’re interested in giving this a try, I highly recommend getting an Omega 8003, or the equivalent. A single auger juicer like this one is best capable of juicing greens like kale, where you get the most nutrition bang for the buck. I found mine for next to nothing on Craigslist. If you can’t be that patient, there are lots of places to buy them at full price. Here are the basic recipes I relied on. Give them a try and modify to your liking. 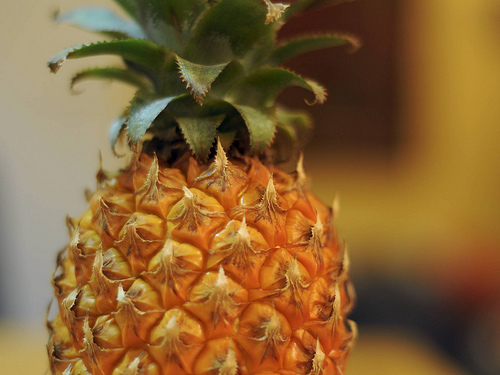 Pineapple, onions, and kale? And peanut butter? What kind of crazy combination is that? A really good one! This recipe is based on one from Molly Katzen’s book Moosewood Restaurant Cooks at Home. I omitted the oil, which you don’t need for sautéing, and doubled the kale. I might even triple it next time! Prepare the kale by washing it and removing the large center stem from each leaf. Stack the leaves on a cutting board and chop them into one-inch thick pieces. In a large, covered pot, sauté the onions for about 6 minutes, stirring frequently, until the onions are lightly browned. Add the garlic, and stir for another minute. Add the pineapple and its juice to the onions and bring to a simmer. Stir in the kale, cover, and simmer for about 5 minutes, stirring a couple of times, until just tender. Mix in the peanut butter, Tabasco, and cilantro/parsley and simmer for 5 minutes. Serve topped with crushed peanuts and scallions, over rice or other grain.